Looking to find ways to save money on a custom home build or even your current home? Have you thought of upgrading or replacing plumbing fixtures as a way to add immediate value to your home, save money, provide ease of use, keep the kitchen and bathroom more sanitary, and reduce your impact on the environment? The latest advances in water-saving technologies can do all of this and more. A healthy home can be accomplished in a variety of ways, especially with hands-free fixtures. Hands-free faucets are designed for both bathrooms and kitchens, significantly reduce germ contamination and are very well-loved by parents with children who’ve been known to get distracted while the water’s running. In the bathroom, the installation of a touchless toilet kit enables the user to wave their hand above the toilet tank to flush it. With some kits, the toilet lid will automatically close without slamming shut. You can round out your kitchen and bath décor with soap or lotion dispensers that are also hands-free. More and more homeowners are replacing their hot water storage tanks with the newest tankless water heaters. Tankless water heaters supply hot water on demand and save the homeowner both the time and expense of storing hot water and constantly reheating it. Unlike a storage tank with a limited supply of available hot water, the heat exchanger technology can provide you with an endless supply of hot water no matter the number of tasks. High-efficiency, low-flow toilets are one of the easiest ways to cut down on household water consumption. All home improvement stores and plumbing suppliers stock these high-efficiency toilets. If the toilets in your household were installed before 1994 or if they use more than 1.6 gallons of water with each flush, there are better options today with toilets using about 1.28 gallons per flush. Dual Flush toilets using even less water for liquid waste! A family of four could save more than 15,000 gallons of water per year by replacing an inefficient toilet with a 1.6 gpf (gallon per flush unit) and even more with a toilet rated 1.28 gpf. To save the average family more than 700 gallons of water year, simply replace old fixtures for new high-efficiency WaterSense labeled fixtures. High-efficiency faucets and showerheads not only reduce water use but save energy by reducing the demand for water heaters. WaterSense labeled bathroom sink faucets and accessories reduce water use without reducing performance. They are not the low flow products of a generation ago. Today’s high-efficiency showerheads combine water savings with high performance. Not everything requires potable water. Being able to reuse water is important to not only the environment but your budget and since no one can recall the last time the cost of water ever decreased, reducing water use is even more important. You can reduce your non-potable water use with the implementation of a gray water system. The State of Colorado allows water from bathtubs, showers, washing machines, as well as water from bathroom and laundry room sinks to be harvested for gray water systems. If you are considering a new home, please talk to your Builder about integrating a gray water system into your design and make the most of every drop of water. The Federal Government EPA’s WaterSense program labels plumbing fixtures for efficiency and performance. The labels indicate whether low-flow fixtures perform as well or better than similar counterparts. Their website has tools that allow you to search for WaterSense labeled products. WaterSense labeled products are certified to meet EPA criteria for water efficiency and performance. Ask your local plumber or homebuilder about WaterSense labeled products. WaterSense logos will show up on certified WaterSense products. Plumbing may not be the first thing that comes to mind when we think about technology and its impact but these innovations can immediately impact your home’s aesthetic and impact and your budget and comfort. Talk to your local plumber or homebuilder today. And best of all, updating your plumbing fixtures or building with the latest technology provides you the opportunity to take advantage of multiple rebates that may be available from your local utility companies and local and state government. HGTV is currently having its Smart Home Giveaway for 2017 and though we’d all love to win this gorgeous house, we can’t. Sadly. But! We have come up with some simple smart home features that you can add to your home. Below are five of our favorite smart home features that you can add during a custom remodel or a custom home build. What kinds of features would you want in your home for the future? These add such an ease to your everyday lifestyle, easy to see at night and beautiful. 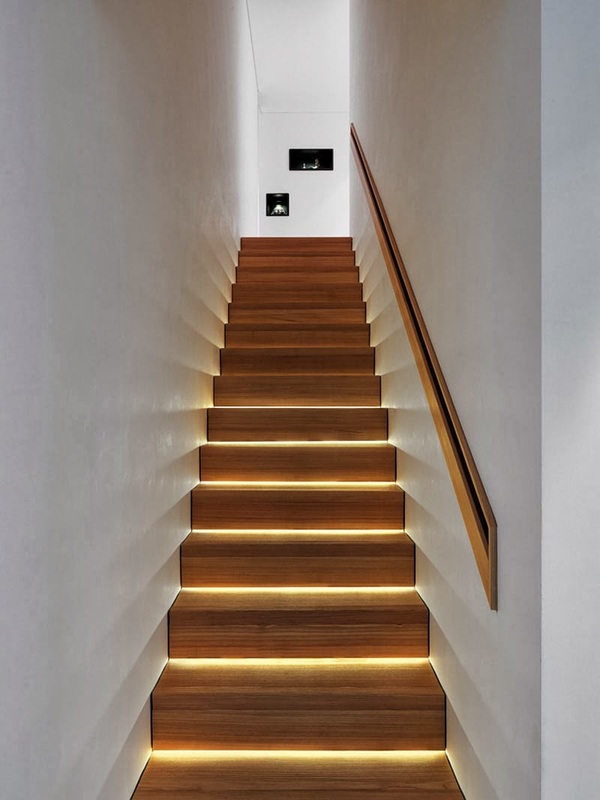 Adding lights underneath your stairs can automatically update the feel of your home and gives you an excuse to redo your staircase! Do you have a home with hard to reach windows with blinds? Problem solved with remote controlled shades. There are a few companies out there that make them and can be worth the investment. If remote controlled shades just aren’t for you, then a relatively new product is electric glass. This is a great option for bathrooms, large picture windows, and even offices. Watch the video below to find out more about electric glass and what it can do for your home! Dimmable lights are nice…but dimmable lights that are wireless? It’s kind of amazing. Phillips has some amazing new lights out that connect wirelessly around your house so you can control them remotely. Smart appliances are all the rage right now, and for good reason. Not only do appliances (that sync up to the Bluetooth in your devices) make your life easier, but they can also give you peace of mind. Are your hands dirty but you need to preheat the oven? Jenn-air and GE have great smart appliances that connect directly to your devices so you can voice command and Bluetooth command what’s in your kitchen. Check out some of these awesome appliances here and here. Durango is a charming town made up of a colorful and caring group people. 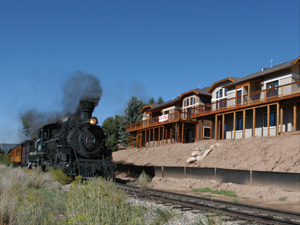 Though there are a lot of things that make living within Durango a wonderful choice, many people may prefer the idea of moving beyond the buzz of our town and unplugging from the infrastructure of today. Building an off-grid home, or remodeling your current home to begin an off-grid life, is a rewarding process that will bring you the satisfaction and peace of mind that comes with knowing that your home is self-sufficient. It can seem intimidating at first to begin planning all that is necessary to go off-grid. In truth, building a more conventional home requires the same considerations of building an off- grid home; the real difference lies in the solution to these considerations. Power, water, sewage, these are all things that must be addressed no matter what type of home you’re building. Where the approach to these questions in a conventional build is often to hook up to existing infrastructure, an off-grid home must find solutions in other ways. These options may even save you a bit of stress in the planning process if your location were to require an easement for access to power, water, or waste disposal. Water is a huge consideration when building or upgrading a home to be off-grid. Running out of water is not a situation that anyone wants to deal with, so securing a dependable source is imperative for any home. Most houses do not have access to a natural body of water on their property, and, in some cases, even those that do may not have the right to use that water. 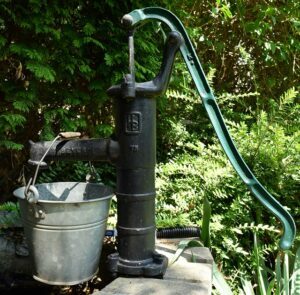 You will likely end up either drilling a well or installing a cistern to be the main water source of your home, both of which are standard systems for conventional houses as well as off-grid homes. In 2016, a bill was passed into law that allowed for the legal collection of rainwater. This was wonderful news for off-grid homeowners as any additional source of water, especially one was easy to set up as rainwater collection, is wholly welcome. Rainwater should only be relied upon as an auxiliary source. One of the many reasons we love the Durango area is the abundance of sunny days every year. While this is surely not something anyone would wish away, it does mean that rainwater cannot be relied upon as a main supply of water. Much like the options for off-grid water systems, the sewage systems that you will likely consider for your off-grid home are similar to or the same as those used in most conventional rural homes. Installing a septic system with a leach field will likely be the best option to choose for your home. In reality, there is only one other option available for sewage in an off-grid situation due to practicalities and established regulations. Installing a gray water tank to handle the waste water from showers and sinks (which can be reused as flush water) and a composting toilet that drains into a black water tank is a viable option that is a bit more hands on for the homeowner as the tanks need more frequent upkeep. One of the first and main things you’ll need to consider, whether you’re building a new home or remodeling your current one, is where you’ll be getting your power from once you’re off-grid. Of course, there is always the option to forgo power altogether and embrace an older lifestyle, but most individuals and families are going to want power in their homes. Energy isn’t just for lights, it can be the source heating (air and water), refrigeration and cooking capabilities. Add in more modern amenities like computers, televisions, microwaves, washers and dryers and you’ll be needing a reliable source of energy to keep you going. These days, solar panels have become so efficient and affordable that they have become the go-to option for those pursuing an off-grid lifestyle as well as those who are just looking to cut down on their electricity bill. 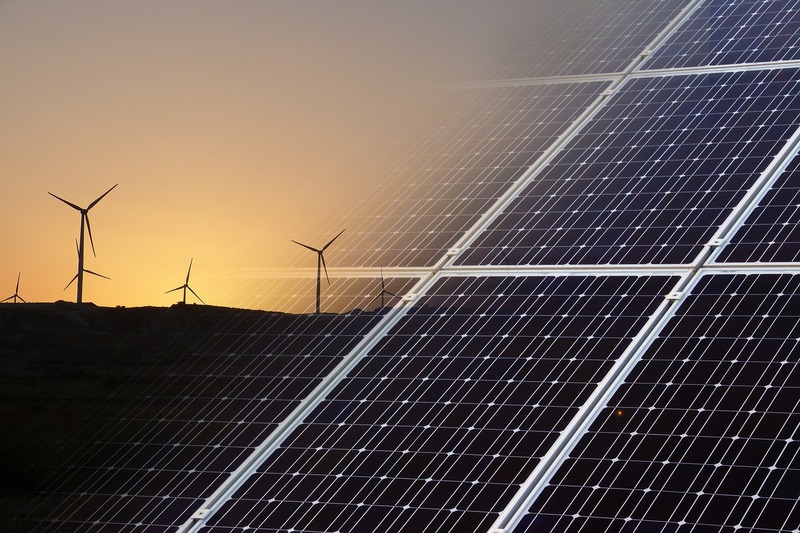 Luckily, Durango is a sunny place to live so, as long as you have unobstructed southern exposure, solar power is a readily accessible resource that you can typically rely on. While solar power is available to most, hydropower is an energy source that is only available to a lucky few. Not only must one have a natural source of running water accessible from their land, but they must be sure that whichever water source they rely upon will produce year-round energy that won’t run out in the depths of a dry summer or a particularly frigid winter. That being said, if you have that perfect combination don’t hesitate to utilize that resource. Maybe your new location doesn’t have reliable year-round water or consistent sun exposure but instead, has on oft-overlooked energy source gusting by. Wind energy typically brings to mind images of gigantic industrial wind turbines churning away hundreds of feet in the air, but domestic wind turbines can be a great source of home energy in a much more compact size. Many homes benefit from using a combination of natural energy sources. 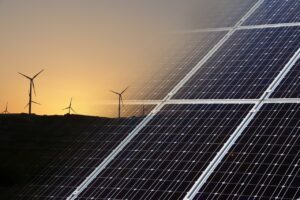 In the midst of a string of overcast days in which solar energy is lacking, wind power may be abundant and ease the worries of running out of energy; being set up to use complimentary systems can be advantageous. If you do choose to stick to one source of day-to-day energy, it may be best to prepare for the worst and have a backup generator to rely upon in emergency situations. All energy systems that rely on collecting power from a natural resource will depend on a bank of batteries to store that energy. These home batteries have developed to high levels of efficiency and storage capacity, and the technology just keeps advancing. Whichever energy system you choose to rely upon, you’ll have a wide array of battery options to choose from to best fit your needs. It’s worth looking into alternative methods for running systems that will reduce your dependence on electric power. Natural gas can be your source of refrigeration, cooking, and heat. 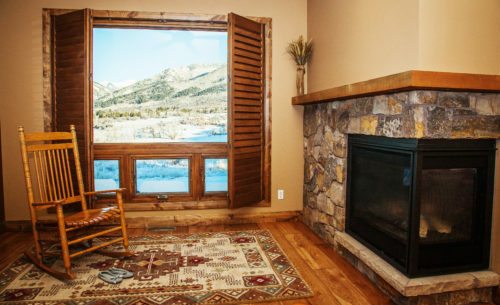 Additionally, a wood burning stove can help keep you super cozy during those cold stretches. Despite the great leaps in efficiency and capacity there still exist practical limits to what any off-grid system can handle. When relying on such systems it’s prudent to embrace a lifestyle of reduced demand. Being conscientious about the amount of water or energy you use day to day is nearly as important as the physical systems that provide you with those resources. This is not to suggest that you’d be living uncomfortably in an off-grid home. Little changes can add up quickly, such things as installing efficient appliances, designing your home to take advantage of passive solar energy, and any number of smaller thoughtful actions such as turning off all the lights as you leave a room will contribute to a comfortable, care-free and happy life in your off-grid home. Building a custom home that is eco-friendly is becoming more and more commonplace now since more materials are being made available. Though many people are likely familiar with the benefits of traditional eco-friendly building materials and techniques such as adobe, solar panels or recycled tires, there are numerous emerging technologies that have either just been developed or have been known for decades but are just now finding footing in a wider market. While some of these materials can be more expensive than traditional building materials, many end up redeeming these price differences in what they eventually save you in cooling/heating, repairs, etc. Elements such as these are so exciting because, whether they are creating new standards for efficiency or finding lower impact means to build, they are helping to continually improve the effect we have on the environment. (Even better, many of these materials do both for twice the benefit!) Let’s take a look at these two main ways in which we are striving to meet this goal. Many traditional building materials, while still highly reliable, may not come from the most environmentally friendly sources. Thankfully, much progress has been made in the area of building and construction materials that either come from more sustainable sources or are made from other recycled materials. Looking into these and other similar sources for materials while planning a custom home is one of the first steps you can take in building an eco-friendly home. Wood – While wood is a staple in most building and construction projects, there are ways in which we can lessen impacts of deforestation and similar issues. When purchasing wood to be used in a project you want to consider the source. The Forest Stewardship Council (FSC) is an entity that monitors and certifies raw building material manufacturers to ensure that they adhere to sustainable forestry practices. Standards that they enforce include such practices as preserving the natural habitats from which the wood is harvested and prohibiting the use of hazardous pesticides in those areas. Sourcing materials from such certified and managed forests lessens the impact of unsustainable forestry tactics such as clear cutting an area or using harmful chemicals as pest management. Other options when it comes to considering wood materials is to choose a type that is lower impact by nature. Many homes are utilizing bamboo more often these days, and not just because it is a beautiful option for any room. Bamboo grows much more quickly than other types of wood. It only takes bamboo three years to reach a mature state that is suitable for harvesting as opposed to the 50-100 years that other woods such as maple and oak need to mature. Bamboo’s natural durability makes it a wonderful option for flooring and has formed a large niche in that very market. Cork is another great option for flooring. Being harvested from the bark of trees, cork eliminates the need to cut down the tree itself. And, since the cork bark regrows in just three years’ time, this source of materials is very much sustainable. As an added plus, cork is naturally hypoallergenic and anti-microbial. Consider also sources of wood that doesn’t come directly from live trees. Reclaimed wood, such as wood salvaged from riverbeds or from old buildings, can be an aesthetically interesting choice as well as being environmentally friendly. Reclaimed wood can provide endless options for unique floors and home accents. We also have options that, while still incorporating wood for its natural useful properties, introduce elements that greatly reduce the amount of wood needed in an area. Wood-Plastic Composite is becoming a very popular decking material for numerous reasons. To begin, using a 50-50 mix of wood fibers and plastic not only reduces that amount of wood that would be required in building a deck, but both the wood and plastic often come from recycled sources. The next time you see those plastic bags you tossed into the recycle bin may just be when you walk out onto your new Wood-Plastic Composite deck. In combining wood and plastic you get the best of both worlds, the durability of plastic and the pliable strength of wood. And, whereas wood decking may need to be replaced if not given the necessary attention throughout the years, Wood-Plastic Composite is rot and mold resistant and won’t need painting or staining to maintain its integrity. So far we’ve looked at some options that collect wood from sustainable sources and others that combine wood with other materials to reduce the amount necessary. Still, there are further areas in which we can completely remove wood. Of course, wood has been the standard for framing in home building for centuries, but recycled steel is emerging as a highly reliable and eco-friendly option for home framing. In fact, recycled steel can also simplify the framing process in that the steel beams can be custom designed to fit each project. Aside from the convenience, recycled steel also boasts both the durability of steel that is desirable in high wind and earthquake prone areas and a great reduction in environmental impact. One company reports that while it may take 40-50 trees to build a 2,000 square-foot home the material required to frame that same home out of recycled steel could be collected from no more than 6 scrapped cars. Using scrapped material not only reduces the energy required to make steel by 75% but also keeps that scrap from ending up in a landfill. With the dual impact of reducing both the number of trees being cut down and the amount of trash to be left in landfills recycled steel has a promising future as a sustainable building material. Insulation from Sustainable Sources ­– Yet another area is which recycled materials are making an impact is in insulation. Fiberglass has been go-to in home insulation for many years, but it has some well-known drawbacks that can be circumvented with alternate materials. Cotton insulation is made from recycled cotton materials, such as denim, and, unlike traditional fiberglass insulation, it does not contain formaldehyde. Similarly, recycled newsprint is versatile as an insulation as it can be used in different forms. One simple form is as a blown insulation where the recycled, processed newsprint is professionally blown into the insulation space. Newsprint insulation comes in many forms but is most commonly blown in. There are other materials that, while not coming from a recycled source, are still eco-friendly. Hemp based insulation is made from fibers of easily grown hemp plants and has the added benefit of being naturally resistant to pests such as moths and beetles. This means that the insulation will not have to be imbued with pesticides, unlike some other insulation materials. Beginning with materials that lessen your environmental impact is a great start to creating your eco-friendly home. To really reduce the effect your home has on the environment you will also want to consider materials that provide and maintain energy efficiency once you’ve settled in. Of course, many technologies exist these days that make a home energy efficient. Absolutely, these are wonderful options to reduce your environmental impact in your day-to-day life, but to get the most out of your home you want to begin by choosing building materials that will be efficient on their own and serve to amplify the effects of any technology you choose to introduce once the building is done. Insulation – It will come as no surprise that choosing a highly efficient insulation is one of the easiest and best things you can do to make your home eco-friendly, heating and cooling account for about 50% of a home’s energy consumption. Above, we explored possible insulation materials that are environmentally friendly at their source, here we will look at a material in which the insulating property is its biggest asset (though it does contain materials that are from an eco-friendly source). Plant-based Polyurethane Rigid Foam is an insulating foam that is manufactured from plants such as bamboo, hemp, and kelp. This rigid foam offers near endless advantages including high moisture and heat resistance, protection against mold and pests and an R-value (a metric used in rating insulating properties) that is higher than fiberglass. Insulation can also be made very efficient by using different techniques of layering materials that maximize their insulating properties. Creating walls by pouring concrete between two pieces of insulating materials, a technique known as Insulating Concrete Forms, has been shown to reduce as much as 20% energy consumption in houses using this technique versus a traditional wood framed house. Conversely, in a technique called Structural Insulated Panels (SIP), a similar layering effect is used, but this time, concrete panels are on the outside and sandwiches foam insulation inside. Plywood or strand board can also be used as the outer material. In some estimates, this technique can yield as much as 50% in energy savings when compared to traditional building materials. Windows – It’s well known that windows account for a great amount of heat gained and lost in a house. Of course, double paned windows have been a standard to combat this, but single paned windows have gained an ally in low-emissivity (low-E) windows. Low-E windows have a clear coating of metallic oxide that can reduce heat flow by up to half. This will help to keep the heat of summer out when it’s unwanted, but also keeps it cozy in winter while reducing your heating costs by 10 – 20 percent. When it comes to building a home to match your eco-friendly lifestyle there are a lot of things to consider and a lot of options to explore. Thankfully, new techniques and materials are being developed all the time that allow for you to make the best choices for your home and location, those discussed here are just some of the most promising materials being worked with today. But, with a little forethought and planning, you can rest easy in knowing that the walls around you were built with the greatest of intentions and the smallest impact on the environment. We live in such a bright and beautiful place. 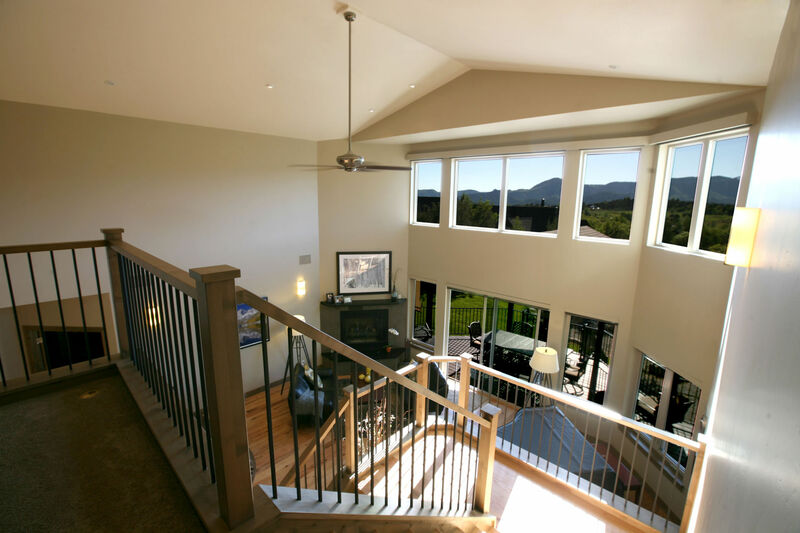 Durango typically has around 300 sunny days per year, so taking advantage of all that natural light is a must when planning your custom built home. There are numerous things to consider when planning to fully embrace all of that natural light. Luckily, when you’re building your home from the ground up you can take every step available to you in order to bring in the rays. Naturally, when living in this sun-filled environment solar panels are a wonderful option for converting the power of light into energy in our homes. But, you can go beyond solar panels in the planning of your home to take full advantage of what the sun has to offer. You can utilize direct sunlight in a plethora of ways in your custom home to create a bright, warm and energy efficient environment. When you begin to consider how to best incorporate sunlight into your custom home your mind will likely jump first to windows. Indeed, windows will be the primary means by which you’ll be bringing all of that sun into your home, but in order to maximize the effectiveness of those windows, there are things one should take into consideration in the early planning stages. When deciding on room placement while planning your home be sure to consider what type of light you’d like each room to receive and how to achieve this. One of the easiest and earliest ways to plan for this is to visualize which direction they’ll be facing once the house is built. Most people are familiar with the versatility and effectiveness of south-facing windows. Allowing the most winter light, when we rely more heavily on passive solar heat, but limiting direct sun in summer when less heating is desirable, south-facing windows are a great choice for rooms that make up the majority of your living area. These larger rooms, such as your living room and kitchen, will allow the winter heat to disperse throughout the house and are likely to be the areas in which you will spend the greatest amount of your waking time. On the other end of the spectrum, north-facing windows will receive even, filtered, natural light year round without getting much direct sunlight. Rooms that might work best with north-facing windows are rooms in which you don’t spend a predominate amount of time. Laundry rooms, craft rooms, and bathrooms are not as high of a priority when it comes to heating, but will still benefit from the gentle light that your northern windows will provide. When it comes to deciding which wall to put bedrooms on you must first consider the habits of the people who will be sleeping in those rooms. For an early riser, east-facing windows will likely be a desirable feature. East-facing windows will bring in the most morning sun to greet the early risers in your family. For this same reason, an east-facing window would be a challenge for someone who likes to sleep in. Dining rooms and breakfast nooks are natural choices for east-facing windows; start your day with coffee and breakfast as you soak in that soft morning sun. On the opposite side of the house, you can count on strong evening light through your west-facing windows. If you’re fond of watching television at the end of your day keeping your entertainment room on the opposite side of the house is advisable as this direct sunlight will keep any west-facing room full of robust light until the sun dips away. Creating an open concept design is another great way to welcome as much light as possible into your custom home. The smooth transition from room to room will assist the flow of light into areas of your house that don’t have windows of their own. Try to position interior rooms, those that will not have their own access to windows, in such a way that they will benefit from the free flow of sunlight. You can keep your future home aglow with a little forethought in the planning process. You may think that once the sun slips behind the mountains you can no longer rely on the heating power of the sun. But, a thermal mass is yet another great way to fully utilize the sun’s heat. A thermal mass can take many forms with the defining characteristic being that it can absorb a great amount of heat throughout the day and slowly release this warmth back into its surrounding environment once the source of heat is gone. Think of leaning against a brick wall once the sun has gone down and feeling all the warmth that is still trapped in the bricks. In summer, a thermal mass should be shaded from the sun so that the heat it absorbs throughout the day will be drawn from the inside of your house and actually assist in keeping your interior cooler. If exposed brick walls don’t fit into your vision for your custom home consider other options that will serve as a thermal mass. Adobe or concrete walls, a large stone fireplace, or dark tiles or a concrete slab for flooring can all effectively collect and hold warmth throughout the day and generously release it back into the air at night. With all this work done to bring the light and warmth inside you won’t want to neglect planning for the depths of summer when all of that light and heat becomes less desirable. That same passive solar effect that helps to keep you comfortably warm in winter can also turn your house into a sauna in the summer months. Something as simple as an overhang from your roof can make a great deal of difference in modulating the temperature inside your house. An overhang of the right length should drop low enough to provide shade for your windows in summer, but still allow the low-hanging winter sun to reach into your home. This little bit of strategic shade can make all the difference in keeping a cool house in summer and a cozy one in the winter months. Planting vegetation around your custom home can add not only a desirable verdant touch of nature but provide additional shading when it’s needed. Deciduous trees, those that grow leaves in spring and lose them in fall, provide natural shade that automatically adjusts to the amount of coverage you need. Those summer leaves provide ample shade, but still allow a soft glow of filtered brightness. In the winter, when those leaves are shed, the bare branches allow light to pass through unimpeded. Large deciduous trees can also shade parts of your roof, thereby helping to keep your attic from getting overly warm and allowing heat to spread into your house from those areas. Once the planning is done and your beautiful custom home is built there are still further ways to maximize the effect of natural light in your home. Consider the materials that you are using to decorate and accent your design. Large white or light surfaces will reflect light and will make a room appear larger. You can contrast these bright colors with darker, dense materials intended to absorb solar heat (once again tapping into that thermal mass effect). Plan to use these warmer colors on surfaces such as floors or cabinets that will naturally be in more direct contact with the sunlight. Energy efficient shades or blinds can both serve a practical effect in helping to modulate the temperature in your home throughout the year, but also be an appealing aspect of your interior design. In winter, closing your shades after the sun goes down helps to hold the heat in while the icy winds blow outside. And, of course, in summer months when shades are drawn, they will assist in keeping the sun and heat from permeating into your cool interior. Choosing energy efficient versions of the shades you love will increase these effects to maximize your control over the temperature in your home. Honeycomb or cellular shades can be effective insulators and are often the “go-to” for many homeowners looking for energy efficient window covers. While these are a great option, don’t feel as if these are your only route for efficiency. Many other types of blinds and shades, from plantation-style to drapes, can be duly efficient. Looks for materials that will be able to trap air or have an additional lining that will lend an insulating aspect to the window coverage. For further efficiency and versatility consider combining or layering different styles of window coverings. All of this sun that we are so lucky to live in is one of the best free resources that we have access to in Durango. It only makes sense to take full advantage of this when you are planning and building your custom home. With some careful consideration towards where and how you will be building and what materials you choose to use you stand to keep yourself in happy balance with the sun for years to come! 8 Great Tips to Make Your Home Energy Efficient! Spring has sprung, Durango, and there’s no better time to give your home an “energy-efficiency audit” than right now. Taking the time to tend to a few details can not only make you and your family more comfortable as the days continue to get longer (and hotter! ), they can also save you a ton of coin to take that next great vacation. Start by servicing your air conditioner – By replacing the air filter, you can lower your air conditioner’s energy consumption by up to 15%. You might also consider checking its evaporator coil, which should be cleaned annually to get its maximum performance. Take a good look at your window dressings – Blinds, shades, and films not only go a long way in slashing heat when the temperatures rise, they also add immensely to the beauty and value of your home. Get out the caulk gun – Warm air moves out of your home in the winter and moves in during the summer. In fact, the U.S. Department of Energy estimates that 30% of heating and cooling bills are consumed by air leakage alone. Head to the hardware store where you’ll find plenty of options- including caulking, weather-stripping, and weather-resistant sealings. Caulking your windows is a great way to save money! Pay attention to dust – Dust that builds up on your electronics- lamps, stereo systems, computers- keeps them from being as efficient as they could be because they’re working harder than they need to. While you’re at it, get the ladder out and dust off light bulbs and fixtures for better lighting and air quality. Finally, pull out the vacuum cleaner and vacuum beneath the refrigerator where dust builds up on the coils, making it work much harder than it needs to. Limit you’re A/C usage by redirecting your ceiling fans – Strategic use of your ceiling fans can be a huge boon to your energy savings. In the winter months, your ceiling fans should be rotating clockwise to push warm air downward. During the summer, they should rotate counterclockwise, thereby pulling warm air up and away from you. And it’s as simply as flicking a switch in the center of your fan! Cook outside – Rather than using inside ovens and stovetops, take advantage of the warm weather and enjoy some time with your family cooking outdoors on the barbeque or grill. Remember to bring the baseball gloves or a Frisbee to entertain the kiddos! Cooking outside – getting better by the decade, helping energy efficiency since the cave dwelling days! Use surge protectors- Outfit each room in your home with a surge protector and run all of the electrical devices in that room to the surge protector, making it that much simpler to turn all of those devices off when you leave the room. This tip alone can make an immediate impact on your electric bill. Head to the nursery – What better time to plant trees and shrubs and do a little landscaping than when the weather is pleasant? Evergreen trees planted on the north and west faces of your home protect you from those merciless winter winds while trees that lose their leaves in the fall can be planted on the south and west faces to provide shade in the summer and insulation in the winter. Believe it or not, energy efficiency is increased when you add in landscaping! After taking stock of your home and tending to these details, you might then consider making small changes in your day-to-day tasks to conserve even more energy. For example, washing your clothes in cold water can save you $63 a year, and hanging those washed clothes on the line not only keeps you from using a dryer that will flood your home with heat, but also give your clothes the sort of fresh scent that no dryer sheet can match! What are some tips and tricks that you use to save money when spring rolls around? Energy efficiency: Custom built homes can allow for updated technologies for energy efficiency. Better windows, better insulation options, passive solar and more, as mentioned in our previous post, all contribute to the long-term benefits of having a custom built home. Energy efficiency is a standard in most custom built home but you can take your new home construction even further by incorporating energy-saving technologies like solar panels, too. Custom Appliances: Being able to add the appliances and features in the house that you want can help you save more money in the long run. Picking out the appliances and customizing them to fit your needs for your family is a huge benefit to building a new custom home. Buying a previously existing home may cost you more money when you factor in that walls, wiring, drains, or pipes may need to change to accommodate your updated and energy efficient appliances. Privacy: Building your custom home to your specifications can be built to maximize the amount of privacy that you need. Your custom home builder and architect can help you figure out which orientation is the most beneficial for achieving the results you want for the privacy that you need. They can also help you come up with creative ways to maximize natural light and views while still maintaining a private layout for your home. Purchasing an existing home may not yield as much privacy as you’d expect. Sentimental Value: The ability to build the home of your dreams from the dirt up is the major benefit of new custom home construction. From everything down to the wiring to the materials used in the construction of the home have all been incorporated for a reason – the emotional value of having a custom built home is insurmountable. Creating your custom home to fit your family, your needs, your lifestyle are all really great reasons to invest in the property for your custom home. When you consider that your dream home may be a home you want to live in for several years (if not decades), making sure that everything is perfect and really up to your personal standards taking the time to build your custom home becomes priceless. Sure, building a custom home may take a little longer than purchasing a pre-existing home, but when you consider the long-term benefits that can go into new custom home construction, you won’t be disappointed. Buena Vista Builders is committed to making sure that your dreams come true when it comes to new custom home construction. As a company, we pride ourselves in making sure that every step of the way is easy as possible for you. We use a program called BuilderTrend wherein you can check in to see the progress of your custom project. Can Your Custom Home Be Energy Efficient? There are several different ways to make sure your house is environmentally friendly, but the best first step is making sure that you are building your custom home that is energy efficient. 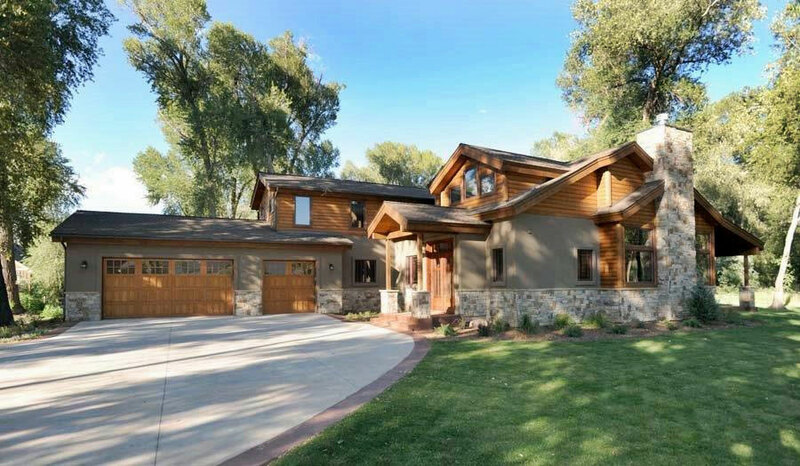 At Buena Vista Builders in Durango, Colorado, we take pride in the fact that we help you maintain your custom home building goals while still keeping in line with energy efficiency. Passive Solar – Considering your custom home will be drafted to your specifications on your property, there are several ways to make the most out of passive solar. Passive solar strategies come in handy when living in Southwest Colorado! Site location and how your house is oriented on your property can help determine how much passive solar you receive. Are there mountains blocking your access to full sunlight? Are there other houses that could affect your ability to achieve passive solar? The longest side of your house should be facing true south – you can deviate up to 15º away from true south without losing significant energy. A skilled builder can help you determine where your house needs to be located in order to get the most out of your accessible solar energy. Landscaping around your ‘solar window’ (the area of your house that was pre-determined to have passive solar) should consist of lower vegetation to prevent overgrowth from blocking sunlight. Even deciduous trees can prevent you getting maximum solar energy. However, having trees (especially deciduous) on the west side of your house could help decrease heating with their bare branches allowing for a little more sunlight during the fall, spring and winter months, and protection from the summer sun when their leaves are at their fullest. Room location is also another way to get the most benefit out of your passive solar-friendly custom home. Part of being energy efficient is making sure that homes have rooms located in areas that are based on usage. Placing rooms that have the most usage (kitchens, living rooms) in areas in the passive solar areas will help keep heating costs down. Insulation – By properly insulating your house and using the correct type and R-value of insulation recommended by your custom homebuilder can greatly reduce the energy consumed in the long run. R-value ratings can indicate how much insulation (and which types) you should use. Making sure that your insulation is rated highly on the R-value scale is one of many ways to determine how much insulation is needed. The more insulation you install will help to increase your R-value rating and will create more heat resistance and use less energy over time. Working with qualified insulation installation experts is just one of the ways that Buena Vista Builders ensures your home is as energy efficient as possible. The type of insulation is also a huge indicator of energy savings. There are several variations of insulation that you can install – depending on the level of energy efficiency you are trying to achieve. Some environmentally conscious insulation materials are mineral wool insulation, cellulose insulation, plastic fiber insulation and natural fiber insulation. Mineral wool insulation contains an average of 75% recycled content, less prone to air convection and is comparable to high-density fiberglass batts. Cellulose insulation material is made from roughly 85% recycled paper products, is treated with borate to ensure fire and insect resiliency, and requires no moisture barrier. Plastic fiber insulation is made from recycled milk bottles and formed into batt insulation (not unlike fiberglass), harder to handle and sometimes even harder to purchase since it is not readily available in all areas. Natural fiber insulation can be made of cotton (which is a blend of 85% recycled cotton and 15% plastic, and treated with borate), sheep’s wool (treated with borate but susceptible to constant dry/wet damage), straw bale (popular 150 years ago, fused into boards without adhesives which also double as sound-proofing), or hemp. Knowing where to put your insulation to get the most out of your energy savings is just another way your custom homebuilder can bring their expertise to your project. Installing insulation in specific, strategic areas of your house will prevent long-term energy savings especially if you consider moisture control and air-leakage as factors in wasted energy. Also, if you live in a place where termites and other vermin are popular, this could affect what kinds of insulation you use and where you have it installed. Attics, ducts, exterior walls, and foundations are all areas in your home that you should consider carefully before insulating. Appliances/Lighting –Home appliances account for roughly 20% of your energy bills, so when you are installing appliances there are a few things that can help to make your house as energy efficient as possible. A great list provided by Enery.Gov on ways you can save energy! Energy Star appliances – Picking out all new appliances for your custom home is, quite possibly, one of the fun parts – you know you’re close to being finished when these are installed. Better yet, knowing that you can have an impact on the environment when you select these items feels even better. When your home is finished, installing Energy Star rated appliances allows you to continue with environmentally conscious approaches – long after your custom home has been built. Energy star rated appliances use 10-15% less energy and water than other models. They can also save you more money on utilities down the road. Choosing lighting that can be adjusted for usage (like dimmer switches) or occupancy can help use less energy. Choosing lighting fixtures that meet Energy Star ratings, can also help you save in cost. Making sure that you choose motion-sensor outdoor lighting can also help make your home energy efficient, especially if you use lower wattage in these fixtures. Part of what we love doing at Buena Vista Builders is making sure that you are satisfied with the level of professionalism involved in creating your custom home. Energy efficient homes are an important part of being an environmentally conscious home building company.